Barn Owl Retreat in Shotesham St Mary, near Norwich, Norfolk sleeps 2 people. Barn Owl Retreat near Norwich is a timber barn conversion which is aptly named Barn Owl Retreat, where you can relax on the sofa and watch the barn owls glide past. Also see them from the enclosed courtyard terrace whilst enjoying uninterrupted views across the Tas Valley, which is abundant with plant, bird and wildlife. Indulge and enjoy some of Norwich’s award-winning restaurants within just a few minutes’ drive. A short stroll away is the village inn, offering a warm welcome and serving good food all year round. Excellent walks and cycle routes can be enjoyed direct from the doorstep. Whether you are a serious rambler, dog walker or just like an occasional stroll, the area has a large number of footpaths, parish walks, bridleways and the famous Boudicca Way which runs from Diss to Norwich. Barn Owl Retreat has been designed and furnished to indulge guests enjoyment. Standing detached, this single-storey barn conversion is nestled at end of the owners’ garden and enjoying its own privacy. Guests will delight in the peaceful and beautiful surroundings, whilst not being too far away from many attractions. Just 6 miles away is the city of Norwich with theatres, castle museum, cathedral, art galleries, excellent shopping and restaurants. Wonderful sandy beaches can be found along the coastlines of Norfolk and Suffolk. Explore the charming seaside town of Southwold with its working lighthouse, beach huts and award winning pier. Many RSPB nature and bird reserves, National Trust stately homes, parks and gardens are all within the surrounding area. Wroxham, which is the capital of the famous Norfolk Broads, is 18 miles away offering inland waterways, a natural haven for birds and an abundance of wildlife, daily boat hire, river trips and waterside shops and restaurants. The seaside resort of Cromer is 35 miles with a pier and promenade, lighthouse and a clifftop golf course. Sheringham is 38 miles away with the RNLI working lifeboat museum, North Norfolk Steam Railway, and the National Trust Sheringham Gardens. The Georgian market town of Holt is 33 miles, and Blakeney Quay a couple of miles further. The Royal Sandringham Estate and Gardens is 47 miles. The shop is 3 miles from Barn Owl Retreat near Norwich, with the pub and restaurant 300 yards from Barn Owl Retreat. Barn Owl Retreat near Norwich us all on the ground floor. Gas central heating, electricity, bed linen, towels and Wi-Fi included. Initial logs for wood burner included. Welcome pack. Enclosed courtyard with terrace and garden furniture. Bike store. Private parking for 1 car. No smoking. Holidays at Barn Owl Retreat run from Friday to Friday. Pets allowed at Barn Owl Retreat. For a better idea of where Barn Owl Retreat is, you can see Barn Owl Retreat on the map below. Barn Owl Retreat is in Leicestershire; should you be on the lookout for a special offer, you can find all the special offers in Leicestershire. It's always worth checking to see what is on offer at the moment. 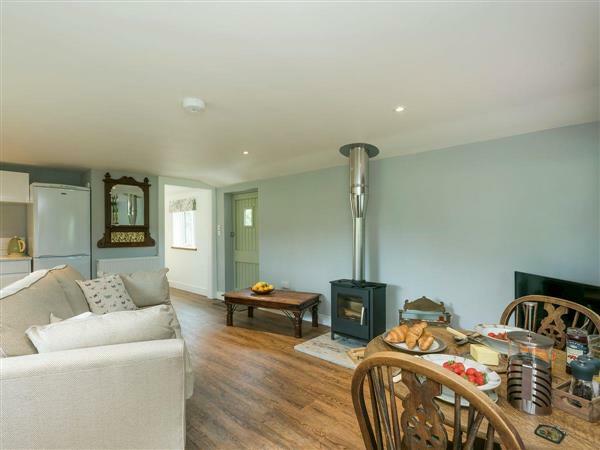 Do you want to holiday near Barn Owl Retreat (UKC1973), you can see other cottages within 25 miles of Barn Owl Retreat; have a look to find your perfect holiday location.